yesterday i learned of two blogs that inspire me so. these two women are so darn talented, creative and not so serious. i love that. wish i was more of that. i feel like when i'm having a bad day, i could go to either of their blogs and my spirits would be immediately lifted. color me katie seems so incredibly free-spirited and fun. wish she was my neighbor. shoot, i wish she just lived in my city. 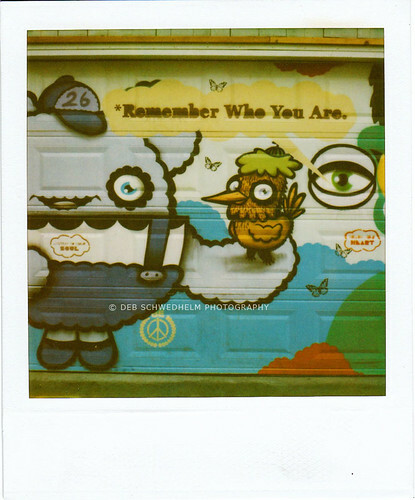 you have to check out these two photography projects of hers: street art (brooklyn thought project and the shadow project) and little surprises, where she leaves little bits of goodness around her city for others to find. and her improv everywhere work too. the no pants video had me so cracking up. seriously, you can't help but love and be inspired by her work. and then there's you can't be serious' blog. i actually knew about hailey from flickr, but had never been to her blog or website. she is so incredibly talented with everything she does. i mean look at her--claymation, photography, film. and every bit of it is absolutely incredible. and while hailey might have a girl crush on katie, i think i have one on hailey. i'd hire her in a second for both photography and film, if she didn't live all the way around the world. maybe someday we will visit australia...maybe someday! and this little family video (holiday in hastings) that hailey did. oh my. love. Holidaying in Hastings from hailey bartholomew on Vimeo. reading these two blogs yesterday and today and soaking in as much goodness and inspiration that i possibly can, reminded me of a couple inspirational things i came across on the streets of california. the first was when shooting the flohr family. we came across these signs posted on random poles and trees around their neighborhood, think of others -- smile & be nice! i just loved them so. peta shot the family with me and captured this photo of melis and her youngest, by one of the signs. and in venice beach, i came across this mural painted on the garage of a house. had to drive around a couple times to get the photo b/c it was in an small alley, with no room for parking and cars kept coming. i have a wall, where i've been wondering what print to put up...i think it might just have to be this one.